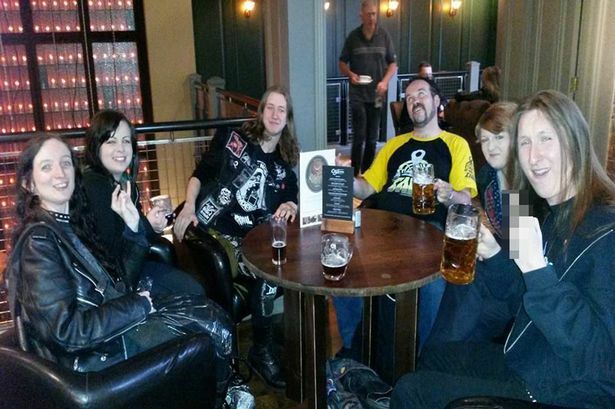 In the local newspaper yesterday a story was published about a group of rock fans who were asked to leave a Newcastle city centre pub. It has been causing quite a stir on social media. The pub in question is the City Tavern. 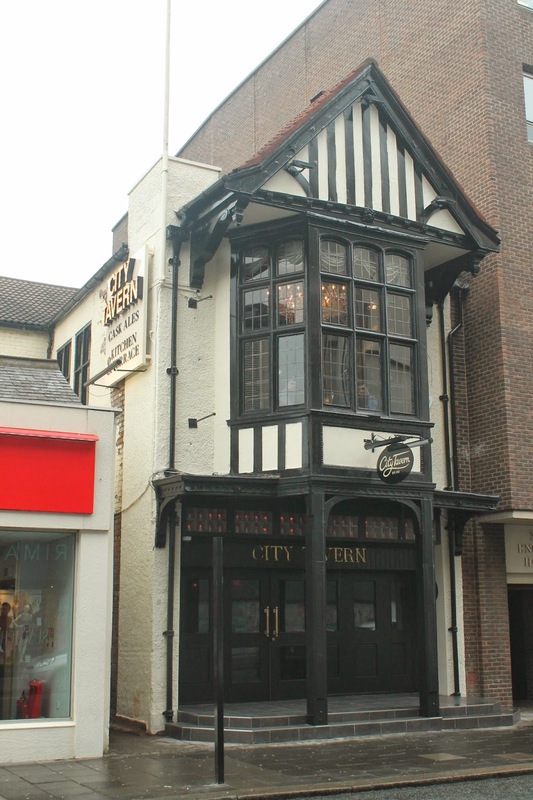 Now those of you with long memories will remember the City Tavern as one of the pre-Mayfair haunts of many a rock fan and home to the wonderful Suzie’s. That was a long time ago, well over 20 years. The Mayfair is but a distant, cherished memory and the City Tavern has undergone several incarnations and name changes in the intervening years before reverting back earlier this year. It is far and away removed from the City Tavern of old and it’s well to remember that. I popped along to see what the changes were like not long after it had reopened following its refurbishment. Now, I’m a beer lover so was interested to see what they had on offer and feel any pub offering real ale should be encouraged. I was never a fan of its previous incarnation LYH, or any of its other post City Tavern incarnations for that matter. I always felt a sense of loss when I walked through the doors that I couldn’t shake. You know what? It wasn’t a bad place. There were 3-4 handpulls of ale on and the décor was pleasant enough, an average city centre pub. And therein lay its problem for me, it was just average and there are plenty pubs doing ‘average’ around town. Why would I want to go there when there are several pubs serving better beer and more of it in equally pleasant surroundings? It wasn’t for me and I still had that feeling loss. A second visit a month or so ago confirmed my initial thoughts. As for my attire on those visits? Well I would have had a pair of jeans on, some boots and a T-shirt of some description. The T-shirt possibly had a band on it, possibly a vintage comic motif, but something of the ilk. I was about as rock fan as this 50 year old gets these days. Not an eye was batted by the staff or my fellow customers on either occasion. To be honest the thought that they might be concerned by my presence never even crossed my mind and I don’t rightly recall what my fellow customers were like. They were just average people in an average pub. My political leanings have always been very much of a Socialist nature and I abhor discrimination of any kind. But I also like to know the full facts of anything before I condemn someone of discrimination. I don’t feel I have them in this situation. What we have is one side of the story, that of the punters who were asked to leave. Looking at the accompanying photograph the rock fans appear to be in the City Tavern. That might be their décor and their steins, but I could easily be mistaken. One of them is happily flipping the finger so could it be that their behaviour also had something to do with the request for them to leave? I just don’t know. What I do know is that the owner of the City Tavern is conducting an unmitigated PR disaster. I can’t imagine a way he could have handled it any worse. Bar burning an effigy of Lemmy on the pub’s steps perhaps. He should just come out and say if there is a dress code for his establishment or if there were additional reasons for the group being asked to leave. If there were additional reasons then this makes the whole Brouhaha kind of pointless and makes him even more of a fool for not speaking up. The longer he isn’t specific about his approach, the longer this is going to go on for. A dress code is going to be an entertaining one to see them try and enforce. As the closest pub to the City Hall I can imagine the reactions of the hundreds of Motorhead, Yes or Foreigner etc. fans who turn up for a pre-gig pint only to be turned away. Not good business sense either. Looking at the other pubs in the chain, Barluga and Perdu, should give you some idea of the type of clientele the Tavern is looking to attract so perhaps their stance comes as no surprise. Flawed, but no surprise. *As pointed out by Alan in the comments below the owner sold his interest in these venues so this no longer applies. Although one might surmise this is the demographic he is aiming for. However, If it turns out that the owner just doesn’t want a ‘certain sort’ in his pub and he picks and chooses who meet his criteria then I’ll be the first one calling him out, it would be a disgrace. He should damn well make sure he’s clear and consistent in his approach. All told, if that is his stance, then the City Tavern will be a poorer place for it. You know, there aren’t anywhere near as many rock fans in town as there used to be. Don’t fool yourself into thinking that there are. The number of venues that are happy to cater for them, rock bars if you like, won’t be as large as it was. That’s a simple economic fact. Last time I was in Trillians on a Saturday afternoon a few weeks ago it was deserted. That never used to happen; it always used to be rammed. This is a pub which the rock community was supposed to rally around and save. Really? Perhaps if we don’t use the venues that are happy to cater for rock fans then in the future we won’t have any at all. Just a thought. Recommended Drink: Well, I’m going to sit myself down with a slow sipper and watch this all unfold. Something like a Durham Brewery Diabolus should be metal enough for the occasion. I’ll be drinking it from one of the glasses I liberated from the City Tavern on the last night of its original incarnation. Worth pointing out that City Tavern is not connected to Perdu or Barluga, or for that matter any other of the Fluid Group venues. Missed the bit later when he said he’d sold them. That’s what you get for rushing something through in a half hour lunch break. I’ll throw an edit in. A simple Google search will tell you that.